The Weight Band, featuring members of The Band and the Levon Helm Band, returns to the Ponte Vedra Concert Hall on Thursday, April 18, 2019. The Weight Band originated in 2013 inside the famed Woodstock, New York barn of Levon Helm when Jim Weider and Randy Ciarlante, both former members of The Band, performed “Songs of The Band” with Band founder, Garth Hudson, alongside Jimmy Vivino and Byron Isaacs. Inspired to carry on the legacy of the unforgettable rock group, Weider, Ciarlante and Isaacs began performing fan favorites from The Band catalog to audiences across the country, inviting Brian Mitchell and Marty Grebb to complete their sound. The Weight Band later added Albert Rogers, Michael Bram, and Matt Zeiner to cement their current lineup. After years of touring, The Weight Band has released a new album of original material, packaged for today’s vibrant Americana base and capturing The Band’s rich musical tradition. Released in February 2018, “World Gone Mad” is a Roots Rock masterpiece of the Woodstock sound. 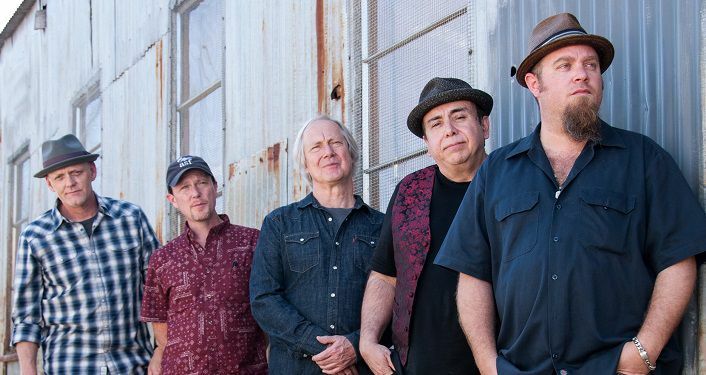 With a heavy US tour schedule slated for 2018 and beyond, their concerts blend The Weight Band originals with songs from The Band’s treasured catalog including “Up On Cripple Creek”, “The Weight”, and “Dixie”, complimenting The Band’s timeless legacy while pushing forward with new original material off their first record, “World Gone Mad”.